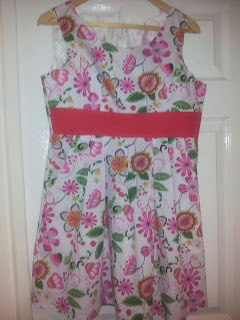 As if by magic, my dress was complete! This dress was made from the Simplicity 2886 pattern. It didn't seem to take as long as the last and I seemed to unpick a lot less, which must mean I'm getting better. There were some new skills to learn like putting in pockets, inserting a side seam concealed zipper and a scallop shaped neck line (?). 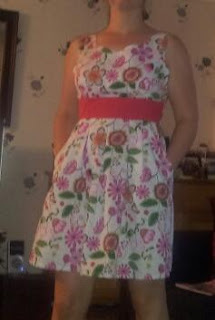 All in all I'm quite impressed with my new sun dress, it's a shame that now I've finished, the sun has disappeared! !